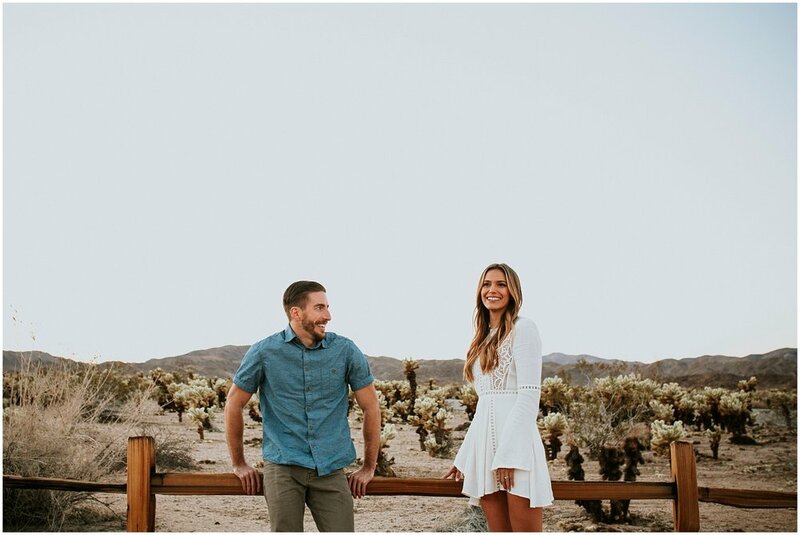 Joshua Tree is one of our favorite places to visit, so when Naomi and Nick wanted to do their engagement session there Pawel and I jumped on the chance. 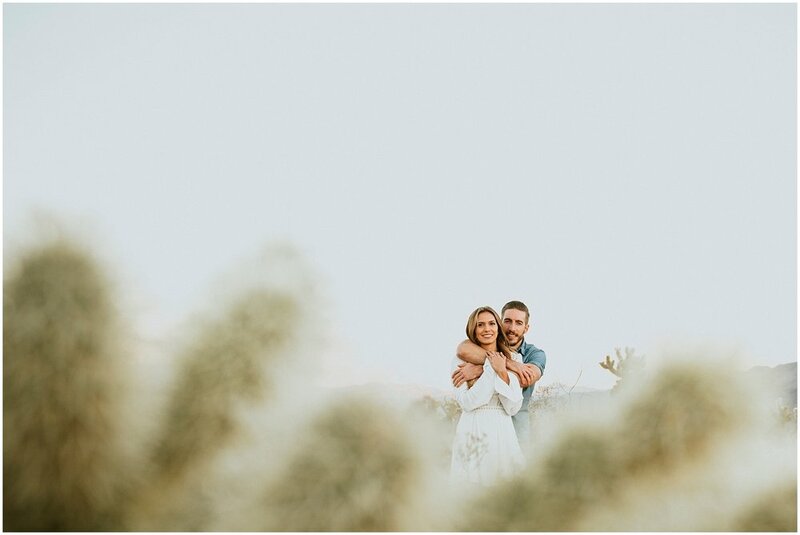 I mean seriously, talk about a gorgeous place for photos! 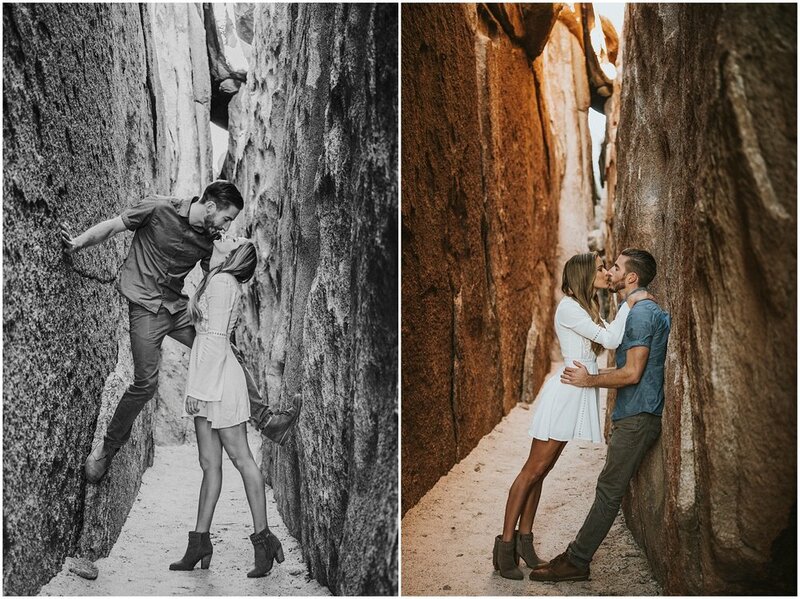 One of their hobbies is to go rock climbing so they thought Joshua Tree would be a good backdrop for their photos and I have to agree. Nick gave Pawel a few pointers on ‘finger grabs’ and some other climbing key words and they climbed down into the Hall of Horrors for some amazing shots. I kept my feet planted firmly on the ground. 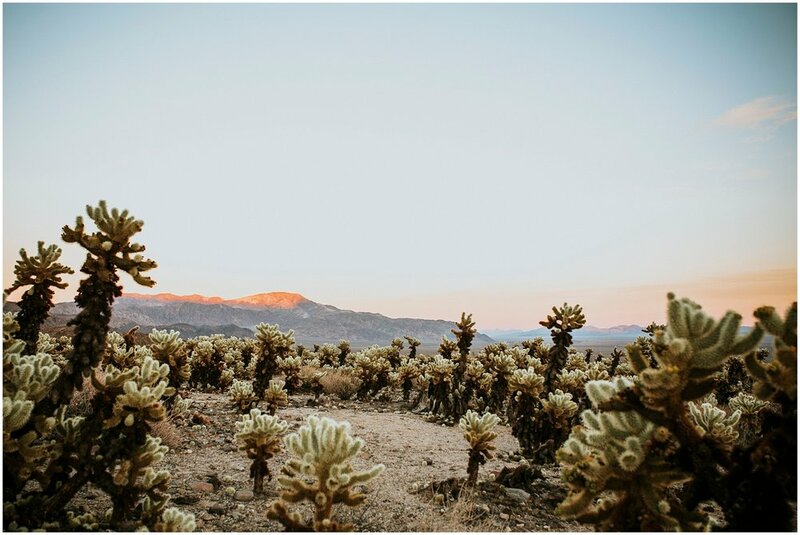 After they all emerged from the Hall we headed over to the Cholla Cactus Gardens. It was a little out of the way but boy were Naomi and Nick happy when we got there. It was beautiful. Normally this is where I would say what a beautiful day it was and how nice the weather was; this however is not the case. It was cold. No I mean like REALLY cold! Naomi was such a champ, especially when she put on her beautiful red dress. We are so honored to get the opportunity to meet and work with such fun, adventurous, and creative people that inspire us to think outside the box. Nick and Naomi are defiantly those people.